Gov. 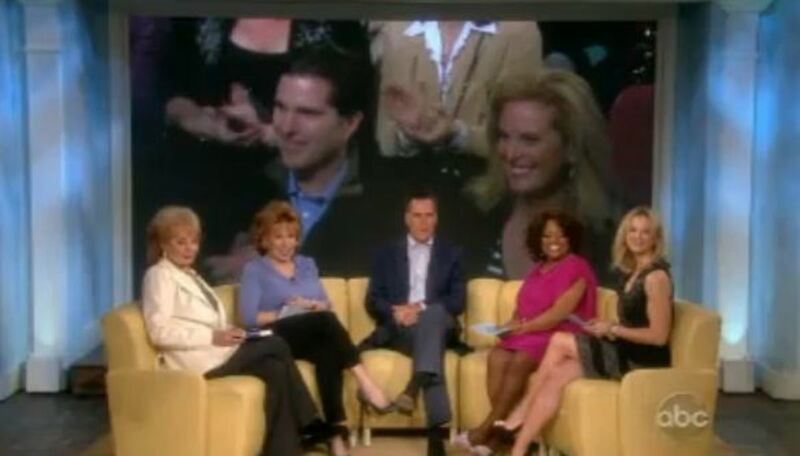 Romney was supposed to be on with us this Thursday with Ann Romney. We were looking forward to it. Over the weekend, his people said that he had scheduling problems and would not be coming on with us. Nor at this point did he feel that he could reschedule. We are happy to have Mrs. Romney on with us. We are sorry that we won&apos;t have Governor Romney and that&apos;s the situation...He can change his mind and we hope he does. It would be our pleasure to have him on the program. Four are sharp-tongued and not conservative, Whoopi Goldberg in particular. Although the last time I was on the show, she said to me,"You know what? I think I could vote for you." I said I must have done something really wrong. Donny Deutsch on Star Jones' Return to The View: "They Ambushed Her Yesterday"